In 2011 20th Century Fox rebooted their X-Men franchise with X-Men: First Class and following that essentially created a bit of a “clean slate” moving forward with the events of X-Men: Days Of Future Past. This month X-Men: Apocalypse hits theaters and we’ll get somewhat of an idea what the future of the franchise holds on the big screen but the studio also have a few small screen properties on the way as well. While we’ve heard initially that Legion might not be a part of the same universe, it seems that might not actually be the case after all. Speaking with Nerdist, writer & producer Simon Kinberg commented on these upcoming TV projects and how they’ll work together with their big screen counterparts. I think it will depend from show to show, to be totally honest. I think what we want is that all of the different things within the Fox Marvel Universe — or whatever you want to call it — that they acknowledge one another. So like Deadpool acknowledges the X-Men even though it’s totally different. Legion, which is the first TV show that we have, and Noah Hawley, who is a genius, who is the creator of the show and directed it and wrote it, it acknowledges the movies but it doesn’t necessarily take place and interact with the characters from the film. So we want them all to exist within the same world and feel like they’re part of the same tapestry, but they don’t necessarily need to be all telling the same story. It seems that these properties will exist in the same universe, contrary to what was previously stated, but outside of references and such won’t directly interact with one another much like what Marvel is doing with their television properties. With that being said, I’m very curious to see how they tie these all together. Will Hellfire directly connect with X-Men: First Class and could there be a chance that we’ll we see some of the actors reprise their roles in the series? What are the chances that we will we see some established X-Men pop up in Legion? While we will have to wait to find out about the former, the latter is expected to premiere on FX later this year so it seems we won’t have to wait too long to get some of these answers. Let us know what you think about Kinberg’s comments in the section below. It’s good that you’re acknowledging the fact that the MCU is basically references, and not a true interaction. However, it would be interesting to see if Fox can pull off Marvel’s TV content better than Marvel has, which has been failing as of late. 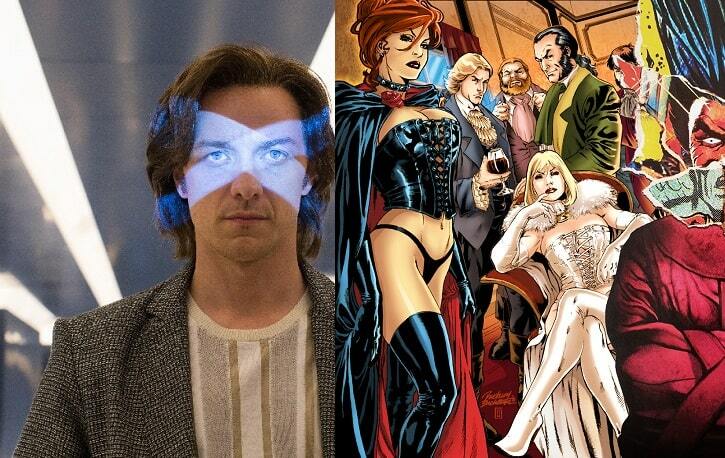 Since First Class killed off Sebastian Shaw and DOFP references to Emma Frost’s death, the X-universe lost two big Hellfire Club characters that still had a lot to contribute to the overall continuity. Unless the current and future films reference Hellfire Club from 20 to 30 years ago, I don’t see how a reference to that entity will be worth anything in the grand scheme of things unless we are dealing with different characters. And Legion, is already described in another alternate universe. So how they include him as Charles Xavier’s son in this universe -and not yet mentioned in the film continuity is still a mystery. Both TV projects seem to have been chosen to make it hard to link the Fox TV and movie universes under the current film continuity. And that’s saying something since Fox and Singer plays very loose with any form of continuity.